After we’ve provided you with a free termite inspection, we can review the advantages of choosing us to treat the termites in your Brea, CA, home. We use the KILGUARD system, which provides a number of benefits over standard fumigation services. Because it does not involves any foul fumes or odors, treatment with KILGUARD will not require that you leave your home. It will also eradicate all types of termites from your home and prevent them from returning – a claim we back with our outstanding two-year warranty. 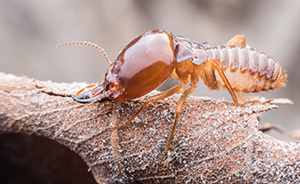 Learn more about the termite treatment services we offer and schedule a free termite inspection in your home in Brea, CA, by contacting Kilter Termite and Pest Control today. When you do, also ask about how we can restore wood that has been damaged by termites in your home with our wood replacement services.